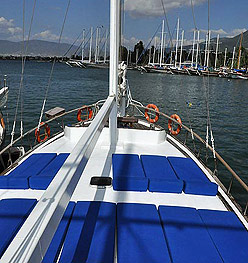 4 Days Marmaris Fethiye Blue Cruise is a unique way to spend your holiday and explore the amazing Turkish coastline. 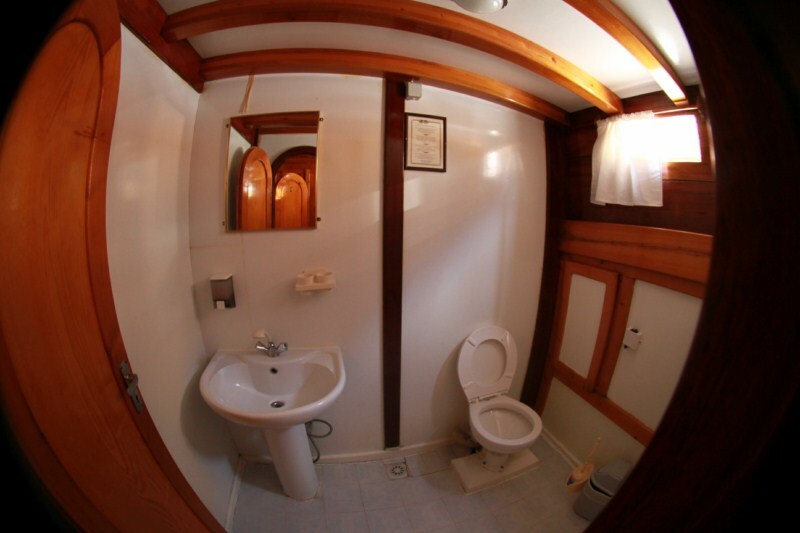 Our gulets are traditional hand made Turkish motor yachts, which are beautifully crafted from wood. It includes breakfasat, lunch and dinner. 4 days menu have carefully prepared from the best of Turkish cuisine. Marmaris Fethiye Gulet Cruise (4 Days) bring together people of all nationalities and ages who all want to experience the beauty of the Mediterranean and Turkey’s stunning coastline without paying astronomical prices. The itinerary is excellent and includes many of the Turkish Mediterranean highlights such as the Gocek, Bedri Rahmi Bay, Cleopatra Bay, Cennet Islands , other hidden bays and fishing villages. 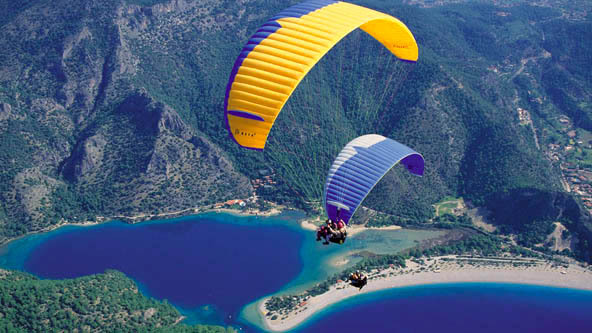 You will also have the option to dive, paraglide and enjoy other water sports. Eco Turkey’s 4 Days cabin cruise rates and prices are based on per person, not per cabin, which makes it all the more affordable. 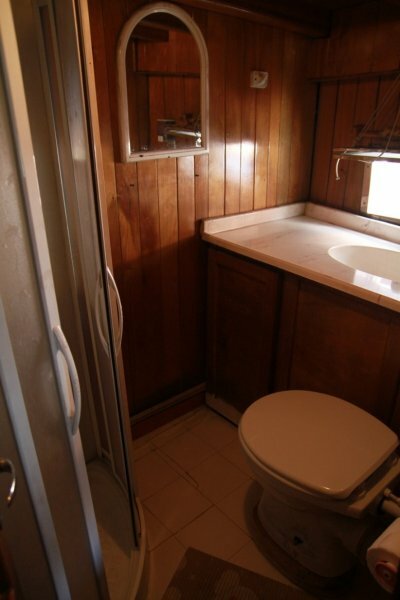 However, if you are an individual wanting a cabin to yourself that can be arranged. Our gulets have a capacity of 12-20 people and include all meals. 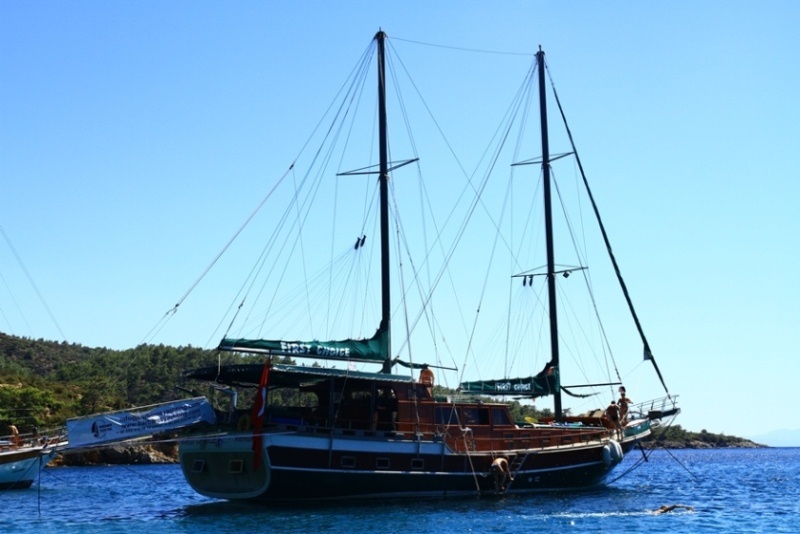 Marmaris to Fethiye Gulet Cruise itinerary gives you the opportunity to combine the land tours-historical towns, and most beautiful natural bays to swim around. 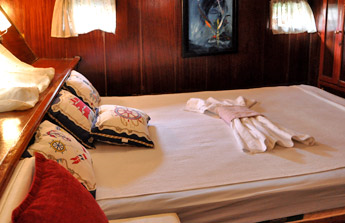 With our Traditional Turkish wooden gulets you will easily enter each bay and port that Cruise Ships can not. Swimming right off the gullet is a great feeling without having to wait for a qeue for an undersized swimming pool. Apart from swimming you will find the chance to explore the beautiful islands and coasts full of small and lovely towns with great historical monuments. 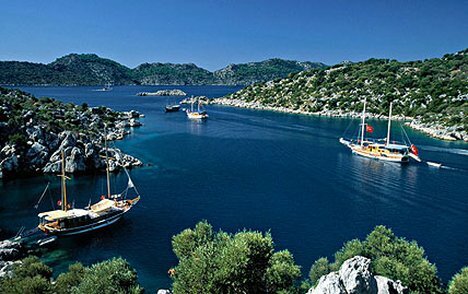 Categories: Aegean Coast, Marmaris, Oludeniz. 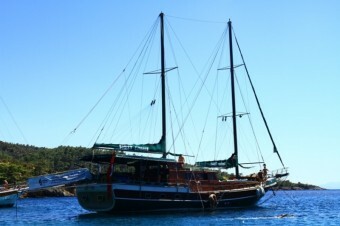 Tags: Marmaris Gulet Cruise, Fethiye Gulet Cruise, Gulet Cruise, Gulet Holidays, 4 days marmaris fethiye blue cruise, 4 days gulet cruise, short gulet cruise in turkey, 3 days gulet cruise, 3 nights gulet cruise, marmaris fethiye gulet cruise, gulet cruising holidays, Cabin Charters, turkish gulet cruises, turkish gulet, yacht cruises, turkish coastline. Because of the wavy seas of Disibilmez and Kurtoglu capes that we have to cross, we will cruise earlier than the other days and reach the world-famous Gocek Gulf. We will anchor at Sunken Bath for breakfast and swimming break. This place is also known as Cleopatra Bay or Sunken Bath Bay due to the beautiful underwater ruins of an old bath. Then we will cruise to Tersane Island. This naturally protected harbour was used as the shipyard in Byzantine and Ottoman times. Dinner and overnight stay at Kizil Island. Arrive at Fethiye Harbor early in the morning. Fethiye, which was known as Telmessos in the ancient times, was the most important city situated on Lycia’s western border with Caria. It is believed that the city’s name comes from Apollo’s son Telmessos. As the name suggests, the city was the city of light and was famous for its prophets. 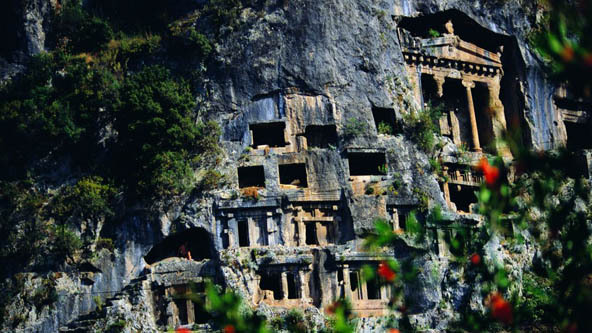 We also offer the option of a jeep safari tour in Fethiye. 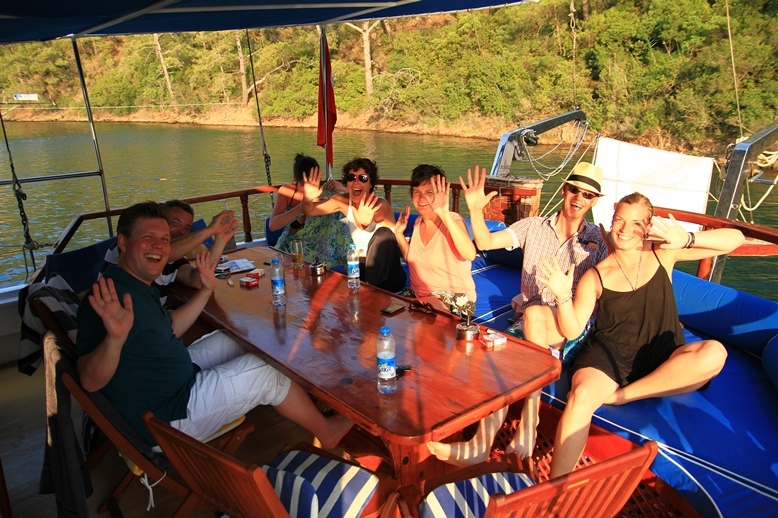 For those who will not join the Safari, the boat will cruise to Samanlik Bay for lunch and swimming. 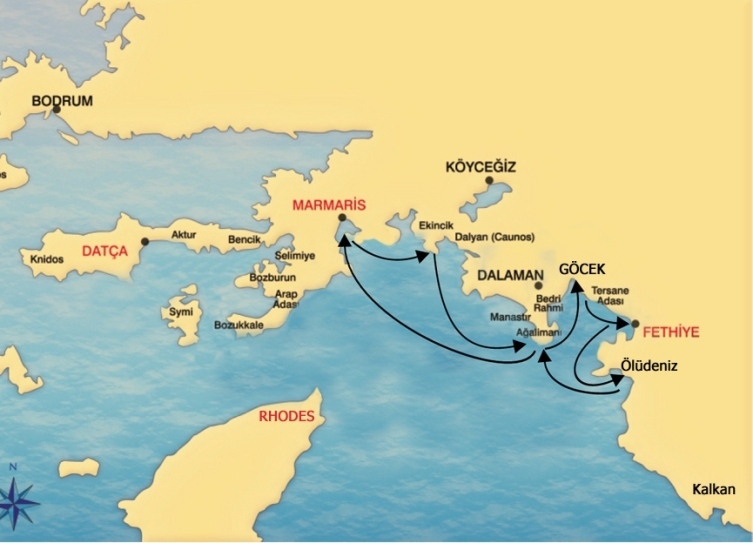 Afterwards around 16:00 the boat will anchor at Ece Saray Marina for dinner and overnight stay. The guests will leave the boat with precious memories by 16:30 here. Depending on sea and weather conditions, Eco Turkey reserves the right to make necessary changes to the tour itinerary to ensure the safety and comfort of our guests. Weekly prices above are in British Pounds and are for one person in a double cabin on a Full Board basis.